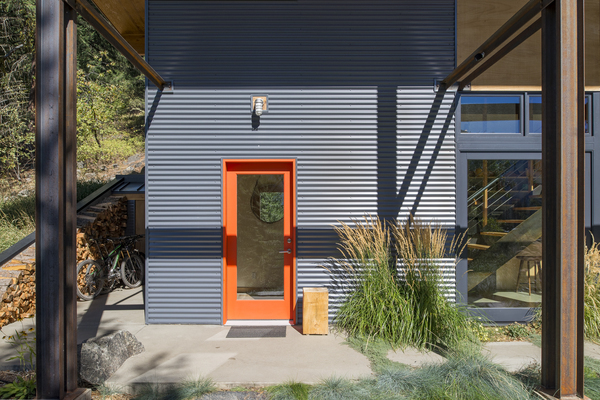 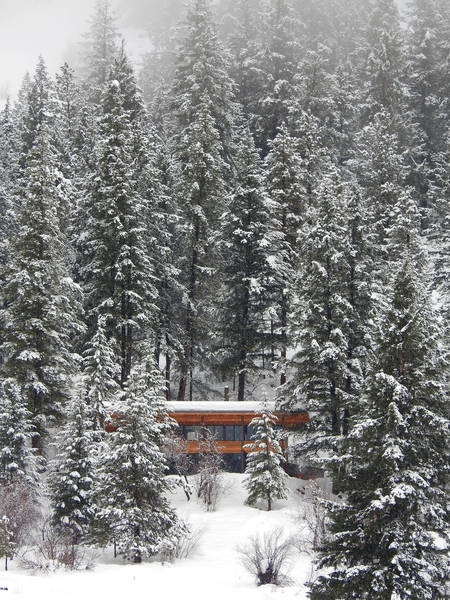 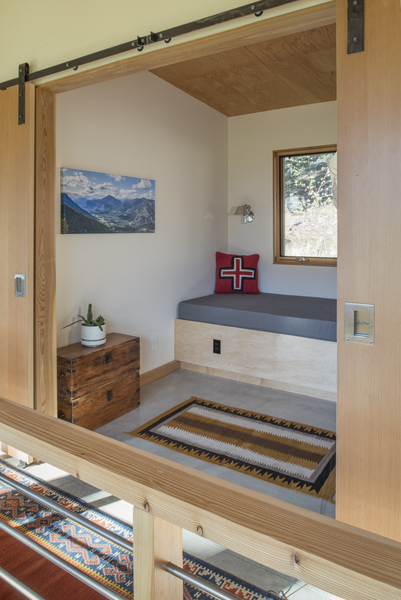 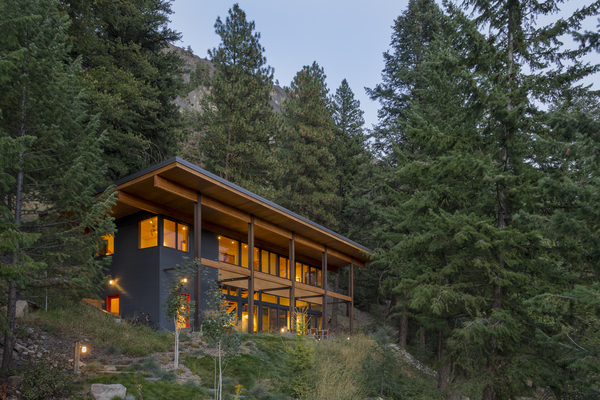 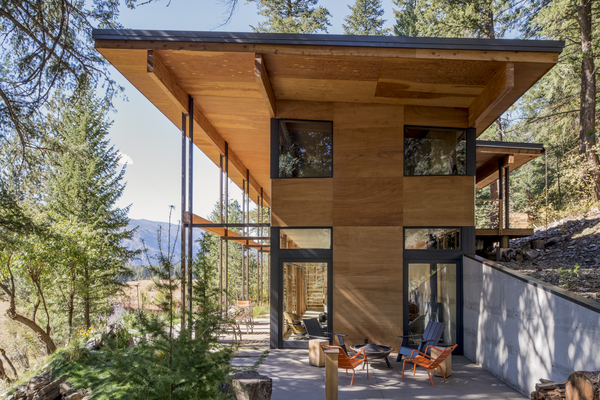 Located at the base of Flagg Mountain, the siting of the Chechaquo cabin takes advantage of sweeping views of the Methow Valley and North Cascade mountain range beyond. 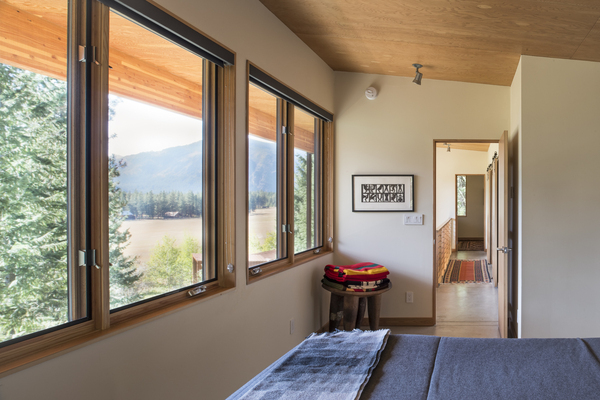 The clients requested an open concept floor plan with easy flow that could serve as a quiet weekend retreat as well as a place to entertain friends and family. 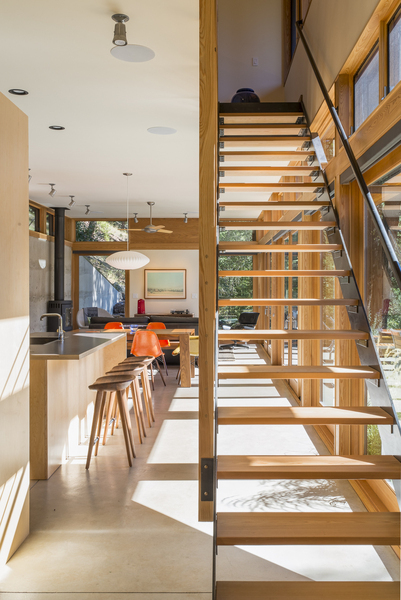 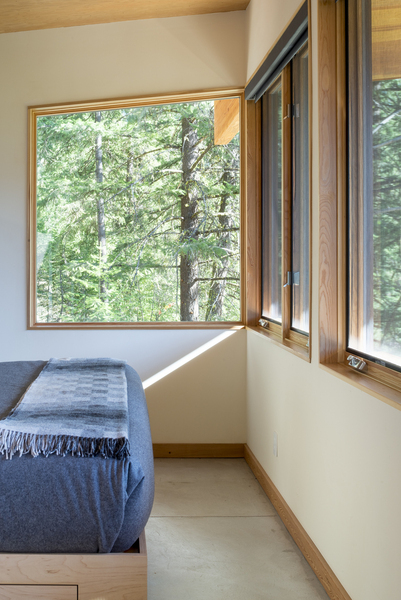 The cabin's primary elevation faces almost due south, with extensive glazing at both upper and lower levels to admit winter sun and views. 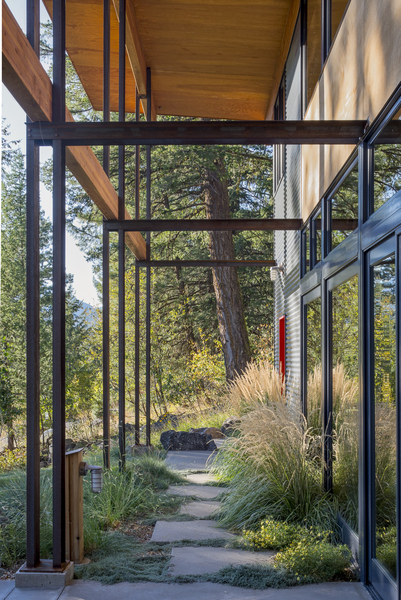 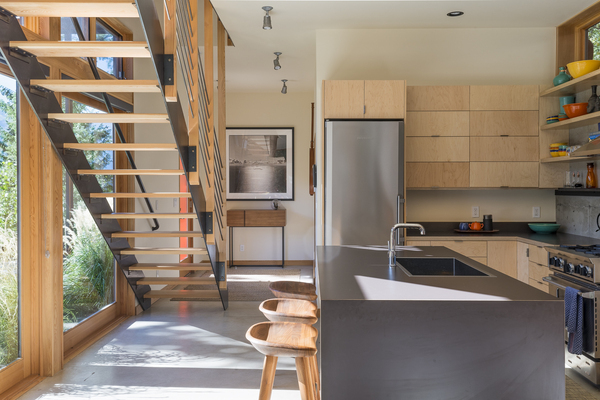 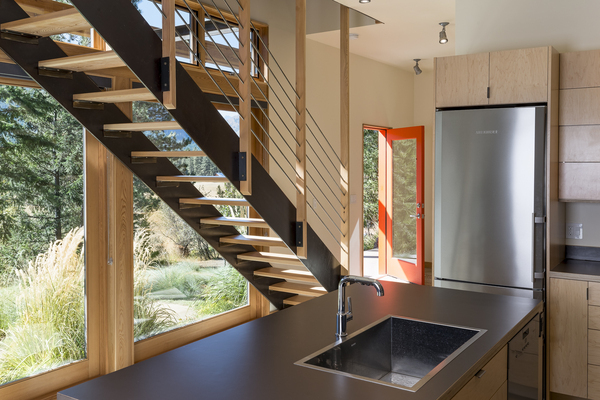 Large overhangs supported by exposed steel columns block summer sun to the upstairs bedrooms.